CLEVELAND, April 17, 2019 /PRNewswire/ -- The Sherwin-Williams Company (NYSE: SHW) announced that Kerrii B. Anderson and Jeff M. Fettig were elected to the Board of Directors of Sherwin-Williams at the Company's Annual Meeting of Shareholders today. Ms. Anderson was appointed to the Compensation and Management Development Committee of the Board, and Mr. Fettig was appointed to the Audit Committee of the Board. Ms. Anderson, 61, served as Chief Executive Officer and President of Wendy's International, Inc. (n/k/a The Wendy's Company) and has been a private investor and board adviser since September 2008. 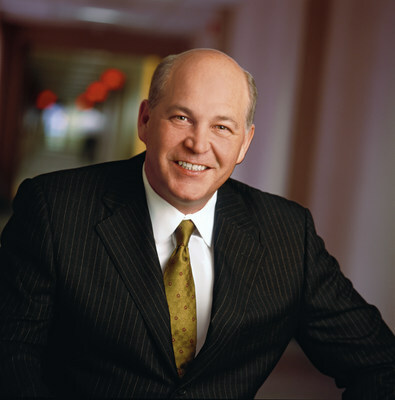 Mr. Fettig, 62, recently retired as Executive Chairman of the Board of Whirlpool Corporation in December 2018, prior to which he served as Chairman of the Board and Chief Executive Officer of Whirlpool for over 13 years. "We are delighted to welcome Kerrii and Jeff to our Board of Directors," said John G. Morikis, Chairman and Chief Executive Officer of Sherwin-Williams. "Each of these new independent directors has a strong record leading a large public company, has extensive experience serving on public company boards, and brings a breadth of operating and financial knowledge and experience to our Board. We look forward to the benefits of their contributions to our Board, our Company and our shareholders for years to come." 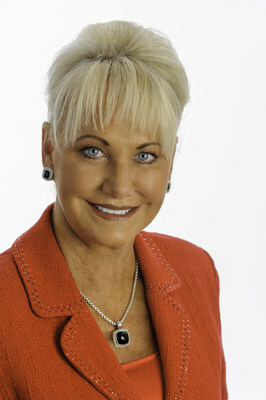 Ms. Anderson served as Chief Executive Officer and President of Wendy's from November 2006 until September 2008 when Wendy's merged with a subsidiary of Triarc Companies, Inc. to form Wendy's/Arby's Group, Inc. She joined Wendy's in September 2000, serving as Interim Chief Executive Officer and President from April 2006 to November 2006 and Executive Vice President and Chief Financial Officer from September 2000 to April 2006. Prior to joining Wendy's, Ms. Anderson served as Senior Vice President and Chief Financial Officer of M/I Schottenstein Homes, Inc. (n/k/a M/I Homes, Inc.) from September 1987 to September 2000. Ms. Anderson received a bachelor's degree in accounting and business administration from Elon University and an M.B.A. from Duke University. Ms. Anderson is also a director of Worthington Industries, Inc. (NYSE: WOR), Abercrombie & Fitch Co. (NYSE: ANF) and Laboratory Corporation of America Holdings (NYSE: LH), for which she serves as chair of its Audit Committee. Mr. Fettig recently served as Executive Chairman of the Board of Whirlpool from October 2017 until his retirement in December 2018. He served as Chairman of the Board and Chief Executive Officer of Whirlpool from July 2004 to October 2017. Mr. Fettig joined Whirlpool in June 1981 as an Operations Associate and held numerous leadership positions of increasing responsibility, including President and Chief Operating Officer from June 1999 to July 2004 and Executive Vice President, Whirlpool and President, Whirlpool Europe and Asia from 1994 to June 1999. Mr. Fettig was elected to the Whirlpool Board in June 1999 when he began serving as President and Chief Operating Officer. Mr. Fettig received a bachelor's degree in finance and an M.B.A. from the Indiana University Kelley School of Business. Mr. Fettig is also a director and non-executive Chairman of Dow Inc. (NYSE: DOW), for which he serves as chair of its Corporate Governance Committee, and a director of Kohler Company. Founded in 1866, The Sherwin-Williams Company is a global leader in the manufacture, development, distribution, and sale of paints, coatings and related products to professional, industrial, commercial, and retail customers. Sherwin-Williams manufactures products under well-known brands such as Sherwin-Williams®, Valspar®, HGTV HOME® by Sherwin-Williams, Dutch Boy®, Krylon®, Minwax®, Thompson's® Water Seal®, Cabot® and many more. With global headquarters in Cleveland, Ohio, Sherwin-Williams® branded products are sold exclusively through a chain of more than 4,900 company-operated stores and facilities, while the company's other brands are sold through leading mass merchandisers, home centers, independent paint dealers, hardware stores, automotive retailers, and industrial distributors. The Sherwin-Williams Performance Coatings Group supplies a broad range of highly-engineered solutions for the construction, industrial, packaging and transportation markets in more than 120 countries around the world. Sherwin-Williams shares are traded on the New York Stock Exchange (symbol: SHW). For more information, visit www.sherwin.com.